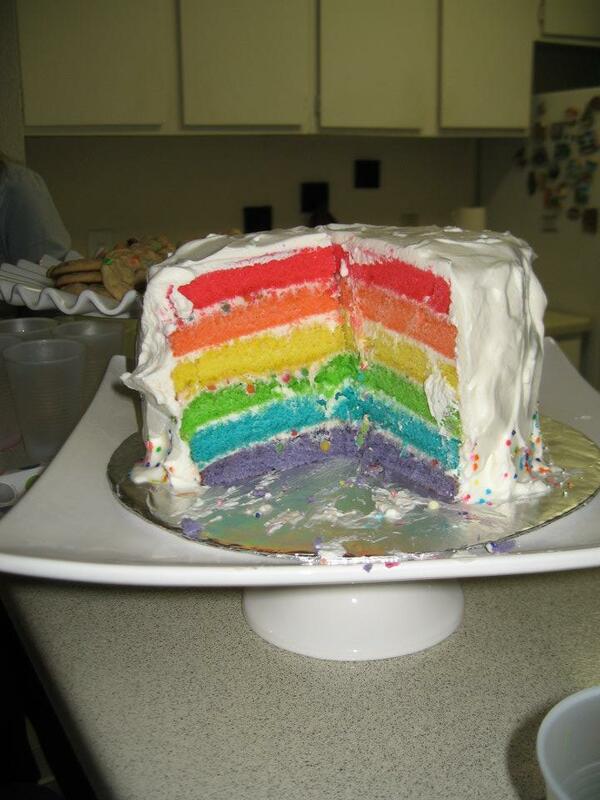 This cake was for a surprise rainbow-themed baby shower. It was vanilla cake with six different colored layers. Alternating vanilla buttercream and rainbow chip frosting for the filling. It was covered in a fluffy "cloud" layer of from-scratch whipped cream. Servings: A TON (about 30+). We cut the slices pretty thin but some people still couldn't finish the whole thing. $35.